This past week was the unofficial-official start to my holiday party season. With an event every night starting Wednesday I started thinking about what the heck I was going to wear to each event and how I would do my makeup. Naturally my first thought was to go for a bright red lip; but after the first two events I started getting bored of the same classic look. 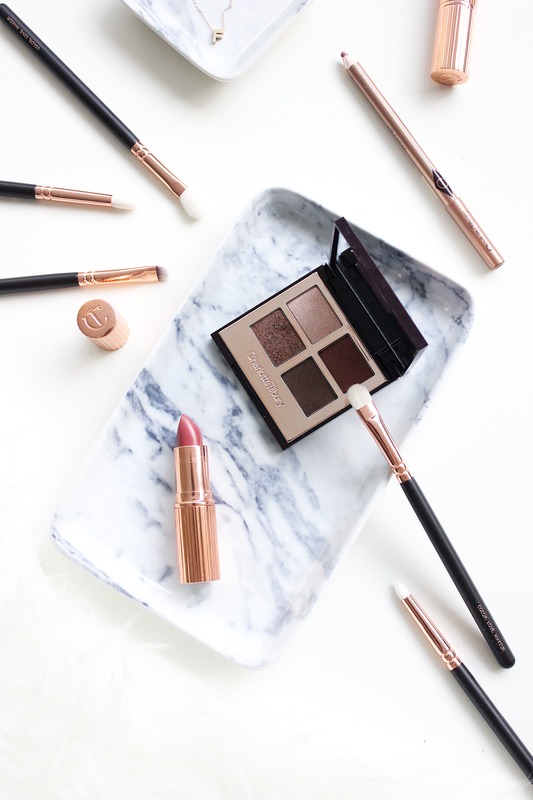 I turned to my Charlotte Tilbury Dolce Vita* palette for some inspiration and began switching things up. I created two looks using the palette and some of her gorgeous lipsticks and was super happy with both. The first was a subtle look, using the light shimmer all over, the cranberry color in my crease and glittery copper over the top of it all. I finished off my eyes with a bit of black liner* to define and lots of lash. 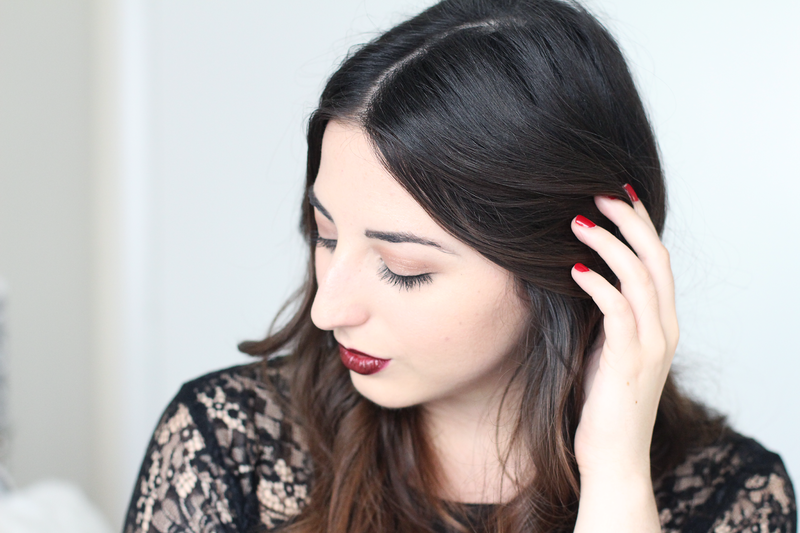 To add a bit of drama and feel party ready, I topped the look off with a vampy lip*. Charlotte Tilbury's K.I.S.S.I.N.G Lipstick in 'Night Crimson'* was the perfect finishing touch. For the second look I amped up the eyes a bit using more of the cranberry shade along the crease and my lower lash. I also piled on the copper glitter and added a cat flick to my liner. Since my eyes were the star of the show, I finished the look using Charlotte's 'Lip Cheat' liner in 'Pillow Talk' and topped that with the K.I.S.S.I.N.G Lipstick in Stoned Rose*. I love this look for parties where I know I will be both eating and drinking - it keeps me from running and checking my lipstick every few minutes to make sure it is still in place! A big thanks to Ashlyn for helping me shoot the two looks & letting me borrow her 'Night Crimson' Lipstick! 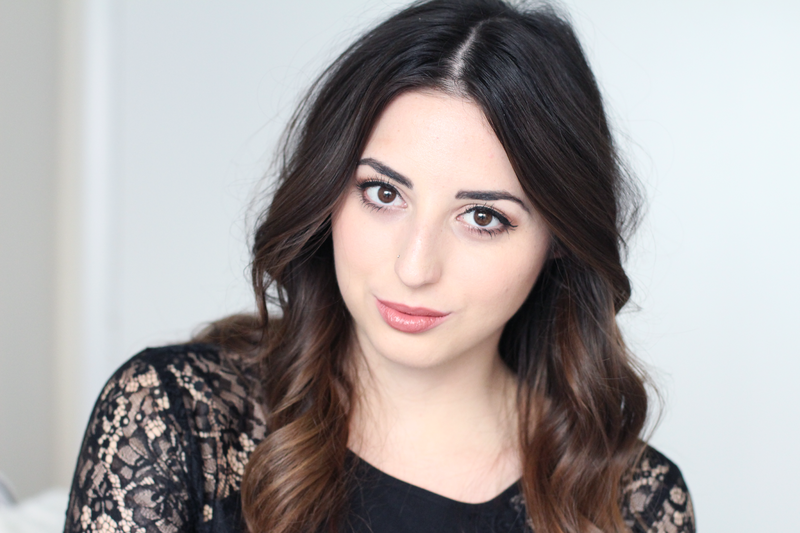 I've been dying to try out some Charlotte Tilbury products! You totally need to order some, they are incredible! Oh I hope that Canada gets her products soon! They are absolutely wonderful!! Thank you Maddy! Not only is the packaging beautiful, the products are incredible! I love your makeup - it looks fantastic! My favorite is the second look, just because I love to play up my eyes, too. Your comments are always the sweetest :) And YouTube videos...I watch soooo many YouTube videos to learn new techniques! The dark lip colour is gorgeous! Isn't it though?! 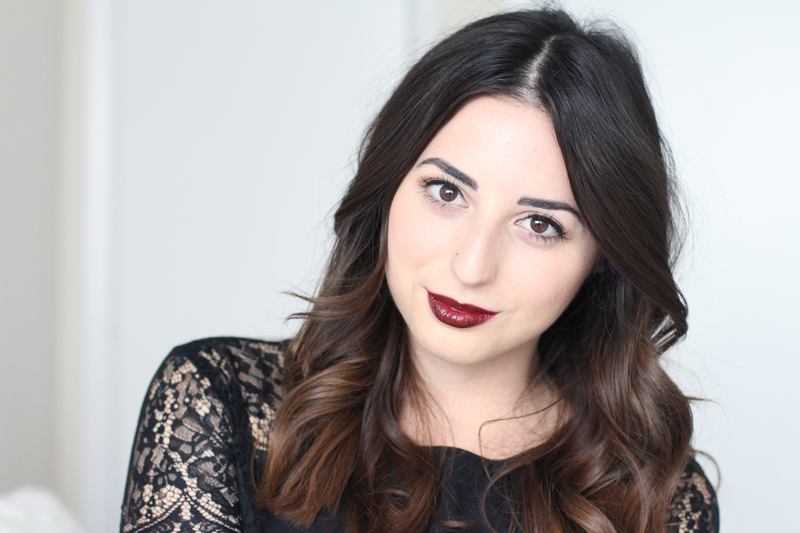 I'm so loving a dark lip at the moment, I own waaay too many!